All high thread count (TC) sheets are not created equal. One of the most common complaints by customers who purchase 600 to 1500 TC sheets is the lack of softness. Many high thread count sheets are made from coarse and short cotton fibers and are often 2-ply yarn weaves. These properties make for a very heavy and stiff feeling linen. Be sure to read the labels and, if possible, feel the sheets before you buy expensive thread count sheets to make sure you like the weight and texture. This is considered to be a lower range of thread count, but depending on the type of yarn, thread ply and thread fiber, some 600 TC sheets may be softer than twin ply coarse yarn fiber 1000 TC sheets. It's all in knowing the difference in what these terms mean in regards to a sheet being soft and luxurious or stiff and coarse. If you prefer wrinkle free sheets, then you may want to try the Micro Touch Sateen that's a cotton blend of 59% cotton and 41% polyester. Bed Bath & Beyond customer reviews: 3.3 stars average rating from reviewers. Some consumers rated the sheets 5 stars. One reviewer complained of pilling and one reviewer had a rip or tear in the fitted sheet. Macy's Hotel Collection includes 100% Egyptian cotton sheets that are soft. You may want to consider this one for a true boutique look for your bedroom. Easy-Care Lace sheets are also a blend with 65% cotton and 35% polyester. 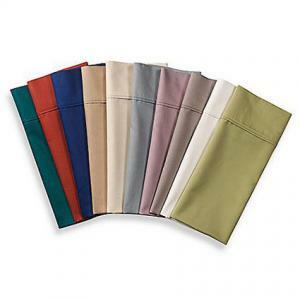 This blend gives a sheet fabric that is soft and wrinkle free. Bed Bath & Beyond customer reviews: 5 stars from a small number of reviewers. Customers report that the lace is very durable and sheets are wrinkle free. Both reviewers reordered. JC Penney customer reviews: 4.4 stars from several reviews. 83% recommend buying these sheets. Bed, Bath & Beyond offers several other choices in 600 TC sheets such as 100% Egyptian cotton sheets by and Eucalyptus Origins™ made from eucalyptus tree wood pulp. Legends® is made from Egyptian cotton. These sheets are advertised as "Expertly spun with ultra-fine, single-ply yarn for a dreamy soft drape that won't weigh you down." They have a sateen weave that gives it sheen and imbues the fabric with a silky feel. The Company Store customer reviews: 5 stars from a small number of reviews. 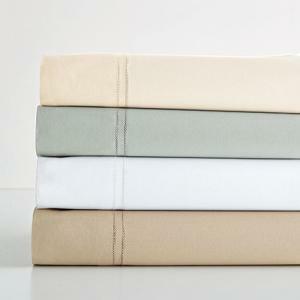 These Wamsutta® sheets are made from 100% Premium Long-Staple Cotton. The flat sheet is oversized and the fitted sheet is extra wide to fit mattresses that are 20" deep. Bed Bath & Beyond customer reviews: Reviews are positive, with a majority rating it at 5 stars, noting that they can get softer with use, that they are "luxurious and dreamy", and they are comfortable. 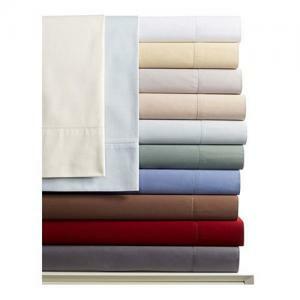 Sleep Philosophy sheets are a cotton and polyester blend that are wrinkle free. Woven specifically to be soft, the cotton fibers are combed and mercerized, which is a softening and strengthening process. 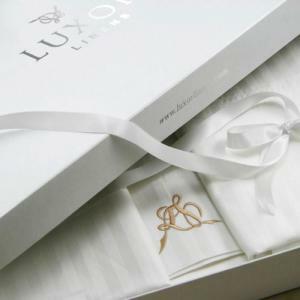 Valentino TC Luxor Linens are 100%% Mercerized Egyptian cotton with extra long fiber. 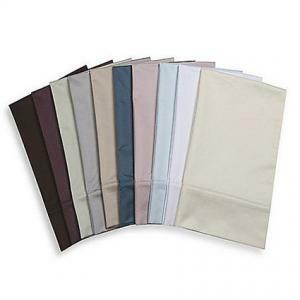 Advertised as best selling and most requested sheet set. Long fiber cotton will give you a softer yarn weave. One-ply weave will give a lighter weight sheet than a 2-ply yarn weave. If you desire wrinkle free, then you need to purchase a cotton and polyester blend. A combed cotton yarn is literally combed to remove short fibers than can interfere with the weaving process and create knots and future pilling. Mercerized cotton is a treatment that gives a lustrous sheen to fabrics. The other benefits are fiber strengthening and a reduction in lint production. If you notice a wide gap between opinions when reading consumer reviews, keep in mind that not all consumers follow care labels correctly and can end up dissatisfied. When possible, it's best to be able to touch and examine sheets before making an expensive investment.